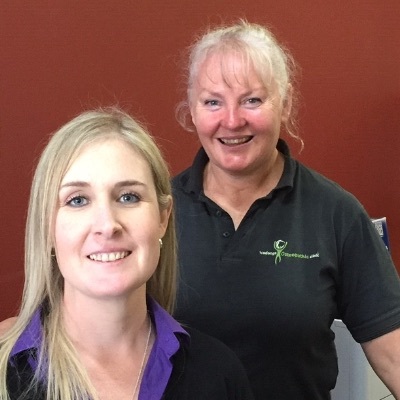 The Wodonga Osteopathic Clinic has seven qualified and experienced professional therapists who work on dedicated days from the clinic’s four treatment rooms. You can have peace of mind knowing that when you need to see an Osteopath, you shouldn’t have to wait long for an appointment. Over 50,000 people in Australia visit an Osteopath every week for the treatment of a range of aches, pains and minor sports injuries – typically occurring when you least expect them. Widely known for treating people with bad backs and recurring headaches, Osteopathy can help with a wide variety of problems causing pain and discomfort. However, many of our patients have found osteopathy helpful for many other conditions. Talk to us and find out how Osteopathy can help you. We work closely and openly with your General Practitioner or other health care provider to give you the best care and results possible. Adam and his team of Osteopaths treat you as an individual. We can refer you to other manual therapists such as masseurs or physiotherapists, exercise physiologists, podiatrists, counsellors, or through to specialists under the direction of the GP when required. Make a time to speak to one of our Osteopathic professionals today. Our friendly receptionists Lidia and Jane are there to help you with your appointments. They enjoy creating a welcoming and positive reception area. They are happy to help out where possible in chasing up referrals and reports, whilst also facilitating payments and accounts. Call Lidia or Jane to make a time to speak to Adam or one of our Osteopathic professionals today.